I think I’ve been mis-sold a financial product, what can I do? This guide can help you to identify if you’ve been mis-sold a financial product and offers steps on what to do next. This guide explains what FSCS protection you are entitled to and how much you can claim if your bank or building society goes out of business. 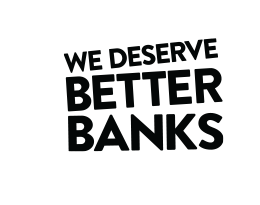 If you're unhappy with how a bank has treated you, find out how to complain to your bank and when to take your complaint to the Financial Ombudsman Service (FOS). The Financial Conduct Authority regulates financial companies and it's their responsibility to make sure that companies adhere to strict regulations. Packaged accounts, also known as fee-charging bank accounts, don't come cheap. If you think you've been mis-sold your packaged account, read what you should do. This step-by-step guide walks you through the complaints process and how to escalate your complaint to the ombudsman. If you’re stuck not being able to access online banking or your mobile banking app following a computer ‘glitch’, we explain steps you can take on the day and how to claim any losses suffered as a result of the outage. Having a dispute with an investment company? If you're unable to reach a settlement, use this letter template to ask a financial services scheme to intervene. Use this letter template to complain about bad advice from a financial adviser and seek redress when a financial product does not meet your needs. Use this letter template to ask the financial services compensation scheme to compensate you if your financial company has gone bust. When you're in a dispute with an organisation and you've reached a stalemate, referring your complaint to an ombudsman could get you the result you're after.